Where can Scouting take young people? The sky’s the limit. He says he’ll put every penny of the money toward paying for college; the 18-year-old plans to attend MIT. I first told you about Sam in January when he was one of three Scouts selected as finalists in the competition, which is the nation’s oldest and most prestigious science and math event for high school seniors. For his project, Sam designed a blended-wing-body aircraft that’s 40 percent lighter and more fuel efficient than traditional tube-and-wing airplanes. In Sam’s design, the entire surface of the airplane — not just the wings — provides lift. Being one of just 40 finalists from across the country is an honor in itself. But at an awards gala earlier this month in Washington, D.C., Sam learned that his project won sixth place and the accompanying prize money. When he’s not in class at West Windsor-Plainsboro High School, Sam volunteers as an assistant Scoutmaster with Troop 66 of the Washington Crossing Council. 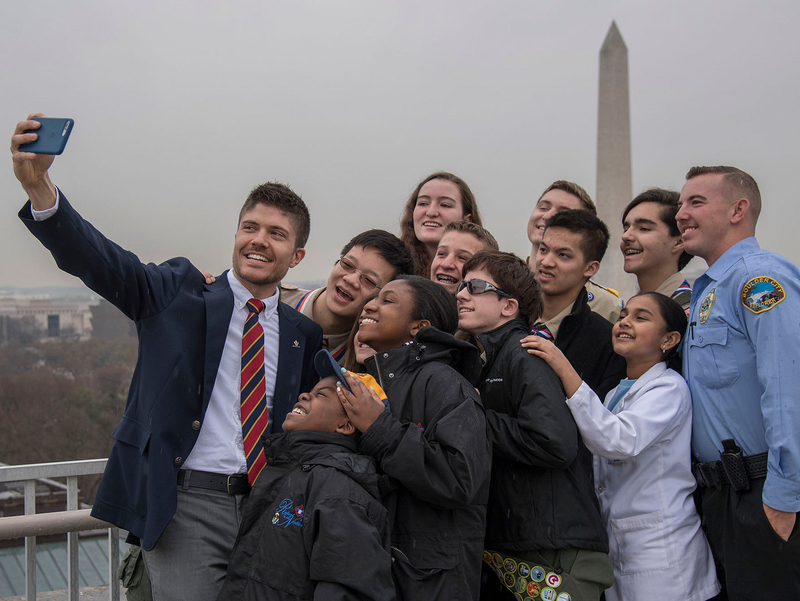 Even though Sam’s $80,000 prize stemmed from his STEM skills, Sam’s favorite Scouting memory didn’t involve science, technology, engineering or math. Learn more about the Regeneron Science Talent Search and see a full list of winners in the official news release.